Iguana Developments employs apprentice Charles Weeks who is undertaking a Bsc (Hons) degree in Real Estate Management. Hull based property firm, Iguana Developments has joined a scheme which enables students to undertake an innovative Degree Apprenticeship, to earn while they study for a University degree. The dilemma of choosing between a degree or an apprenticeship is resolved with the opportunity for students to earn a salary and study for a degree with University fees funded by the Government Scheme. This aims to achieve a target set in 2015 to create 3 million new apprentices by 2020. Iguana Developments employs Charles Weeks who is undertaking a Bsc (Hons) degree in Real Estate Management. The distance learning programme is run by the University College of Estate Management (UCEM) and accredited by the RICS (Royal Institute of Chartered Surveyors). 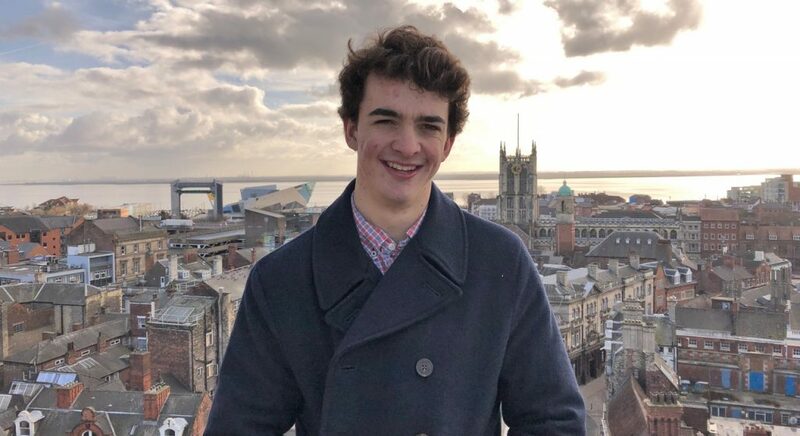 Charles, age 20 says: “All of my lectures are online, the assessment is assignment based and submitted online and the exams can be taken in any major city in the UK. “After school and living in my home town of Bury St. Edmunds I didn’t want to rush into university as I wasn’t clear about the career path I wanted. I took a year out to travel around Australia, New Zealand and South East Asia and then came to live in Hull where my brother had settled with his job. “As a residential tenant of yupelet.com, which is part of the Iguana Developments group of property companies and overseen by Jason Coleman, he offered me a job to assist with the the day-to-day management of a property portfolio that is designed exclusively for young professionals. “Initially the job was expected to last for 3 months at which point I intended to go to Oxford Brookes University to study Real Estate Management. However this all changed after looking into Degree Apprenticeships and now I am delighted to have committed to 5 years working with Iguana Developments and hopefully longer as I am thoroughly enjoying my role and the study. “When you compare the £50,000 plus debt from University fees vs Apprenticeship costs which are zero, for the exact same degree plus a salary, it really is a no-brainer. “The reported downside to the degree apprenticeship is the lack of University experience but as a member of the Young Professionals Network in Hull, which has almost 200 members, (many of whom came to live in Hull to work), we are building a great community and all of us seem to be making the most of the social side, so I don’t feel that I am missing out. “In addition to my degree course I am learning about property valuation which applies to the role of surveyor. I am also involved in the marketing side of the business and working with the team on the developments. The first project I worked on being Liberty House, which is 25 high-spec apartments for sale in the Old Town. Iguana Developments’ trademark is the value they add to apartments for sale or rent; all of the developments include a residents’ gym, cinema and off street parking, plus many other high-tech features. It is a very exciting company to work for and I am grateful to Jason for giving me this opportunity, I could never get all of this experience doing a regular University degree. Be the first to comment on "Hull developer unlocks potential in the built environment"